The career of Edgar G. Ulmer was rife with paradox. An enormously talented filmmaker, for most of his career he toiled on the fringes, often far from Hollywood – and even when in that vicinity, he worked almost exclusively on Poverty Row, particularly for Producers Releasing Corporation, turning meagre resources and ridiculously tight schedules into movies which somehow transcend all their limitations. Was he an auteur, or a mere craftsman with remarkable skills? Would he have accomplished wonders inside the studio system, or would his particular talents have been crushed by the pressures of the business bureaucracy? Ulmer himself mythologized his early life. Born in Czechoslovakia 1904, he claimed to be Viennese. He worked on sets for Max Reinhardt, and claimed to have invented the camera dolly for F.W. Murnau’s Der Letzte Mann (The Last Laugh, 1924); he also claimed to have worked on Paul Wegener’s Der Golem (1920) – when he would have been just sixteen – and Fritz Lang’s Metropolis (1927) and M (1931). He may have worked in the art department for Murnau’s Sunrise (1927) in Hollywood, and told Peter Bogdanovich that he directed some two-reel westerns around that time, but his first clear directing credit was on the radically innovative Menschen am Sonntag (People on Sunday, 1930), on which he collaborated with Robert Siodmak, Billy Wilder, Fred Zinneman and cameraman Eugen Schüfftan; making a deliberate break from the dominant German Expressionism of Weimar cinema, this depiction of several Berlin couples at play on their once-a-week day off foreshadows Neorealism in its depiction of ordinary lives, avoidance of dramatic contrivances and naturalistic photography. Interestingly, once settled in Hollywood, when Ulmer got his first opportunity to direct a studio picture, he plunged back into the visual, thematic and psychological depths of Expressionism, creating not only one of the finest Universal horrors of the period, but unquestionably the most perverse. He pulled off this feat while producer Carl Laemmle Jr. was away in Europe, and when the executive returned and saw The Black Cat (1934), he was appalled. But even worse for Ulmer, he had started a relationship with Shirley Kassler, who was married at the time to Carl Laemmle Sr.’s nephew. When Shirley divorced her husband and married Ulmer, he was pretty much exiled from the studio system altogether. But he seemed happy with the strange career which followed, with Shirley as a major collaborator on most of his films. Outside the system, Ulmer carved out a niche for himself making “minority” movies – ultra-low-budget productions aimed at Black, Yiddish and immigrant audiences, the kind of people all but invisible in mainstream cinema – and occasional documentaries. At PRC in the mid-’40s, Ulmer became very productive for several years and, more importantly, turned a number of unpromising scripts into small gems – particularly Bluebeard (1944) and Strange Illusion (1945), the latter actually reworking Hamlet in a contemporary setting! After leaving PRC, Ulmer managed to get some bigger productions off the ground – The Strange Woman (1946), a period melodrama starring Hedy Lamarr at her best; Carnegie Hall (1947), an affectionate survey of that institution and more broadly American music in general; Ruthless (1948), which can be considered Ulmer’s Citizen Kane, an epic story of the rise and fall of a powerful capitalist haunted by his humble past; and to a lesser degree the more formulaic yet quite opulent The Pirates of Capri (aka The Masked Pirate, 1949) – and worked continuously throughout the 1950s in various genres, often bringing interesting visual qualities to the lowliest material. 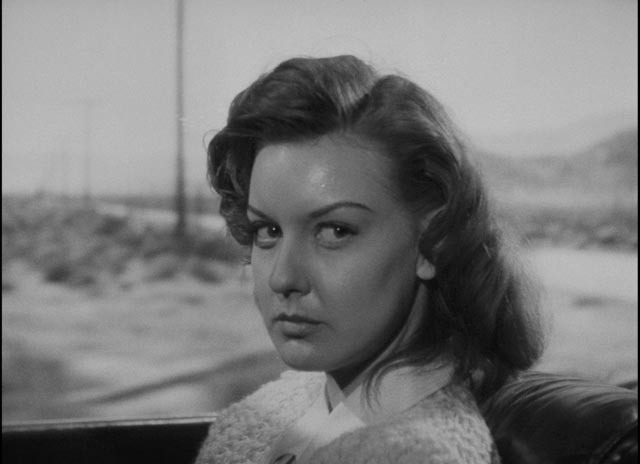 But the film which has over time come to be seen as the quintessential Ulmer project is unquestionably Detour (1945), one of the noirest of films noirs. 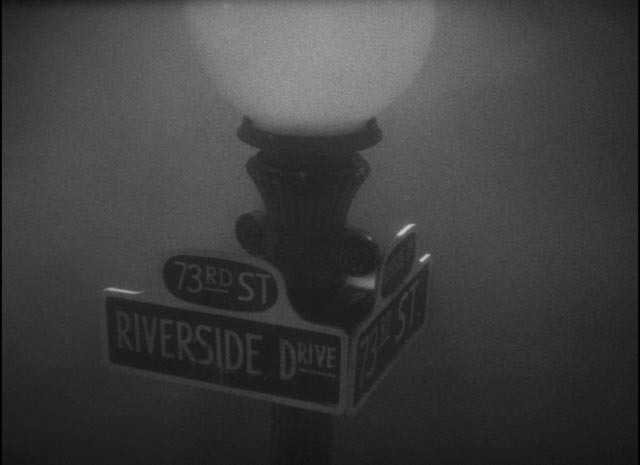 The facts of the production are as shrouded in fog as the doomed couple walking through New York streets at night – streets evoked on a soundstage in the simplest way possible: street name signs enveloped in clouds of studio fog, the characters mere shadows passing by. Ulmer and others claimed that the film was shot in just five or six days for only $60,000 (or maybe $30,000). But archival documents relating to the film say there were fourteen shooting days, on a budget of almost $120,000. Even more strangely, these papers indicate that there were two directors – Ulmer and the prolific Lew Landers (who was supposedly paid four times as much as Ulmer’s $750 fee). Additionally, co-star Ann Savage’s copy of the shooting script names Landers as the director on the title page. Could it possibly be that the quintessential Ulmer movie was actually made by someone else? Well, Savage herself says that Ulmer was the sole director – and asserts that it was a six day shoot. As for the inflated budget and schedule in the studio records, that can easily be explained by the famous dubious accounting practices of Hollywood studios, which might load excess overhead onto a movie’s budget. In terms of narrative content, Detour is fairly unremarkable. 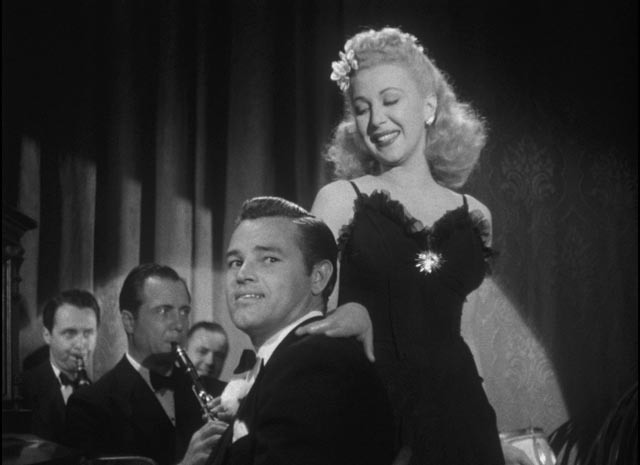 When Sue Harvey (Claudia Drake), the fiancee of New York club piano player Al Roberts (Tom Neal), tells him that she’s decided to postpone their relationship in order to pursue a career in Hollywood, he gets depressed … and then decides to follow her. Broke, he hitches his way across the country, getting grubbier and more dejected as the miles go by. He’s eventually picked up by a convertible in the desert driven by Charles Haskell Jr. (Edmund MacDonald), a gregarious gambler with a big wad in his pocket. When Haskell dies in a freak accident, Al realizes things don’t look good for him – no one will believe what really happened – so he assumes Haskell’s identity and continues heading west. Stopping to put water in the radiator, Al spots Vera (Ann Savage) trying to hitch a ride and he invites her to join him. She looks pretty rough. 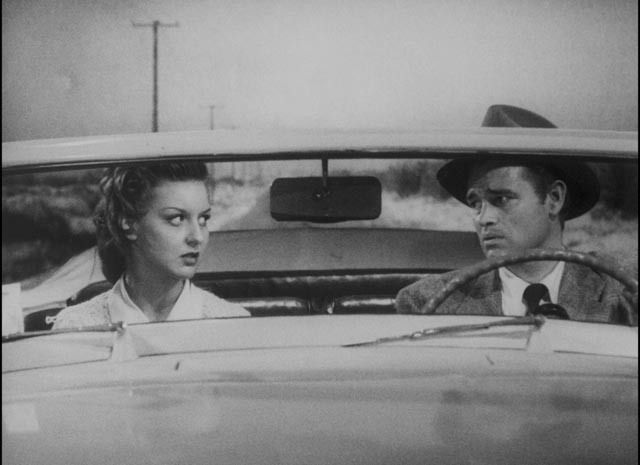 A woman hitching alone back then might be an obvious sign of trouble and it’s not long before Vera reveals that she knew the real Haskell – that he’d given her a ride and eventually kicked her out of the car when she resisted his advances. Just as Al feared, here’s someone who immediately assumes that he killed Haskell for his money and car. He’s trapped; he can either fall in with her or be turned over to the cops. When they reach Los Angeles, they take a cheap apartment together as she pitches a crazy scheme for Al to pass himself off as the long lost son of a wealthy dying man. Detour is shaped by an unreliable narrator, the past tainted by his present desperate situation which he knows can only lead to a dead-end future. Is he trying to exonerate himself by calling on an all-consuming Fate which has malevolently doomed him? The story he tells begins with him being abandoned by the woman he loves and ends with the smothering presence of a demonic femme fatale who destroys any possibility of redemption. In retrospect, how much can we trust his account of Haskell’s death – a rather far-fetched “accident”? But that was nothing compared to the even more far-fetched end of Vera. In each instance responsibility resides in that malignant Fate; Al presents himself as the real victim here, devoid of agency, a passive pawn trapped and abused by a hostile universe. Life has been terribly unfair to him and he knows that he has no way out. The final image – Al walking down the desert road at night as a cop car rolls to a stop beside him – may well be his vision of an inevitable future, a manifestation of the sense of guilt he has tried to suppress through his self-serving account of his own bleak story. 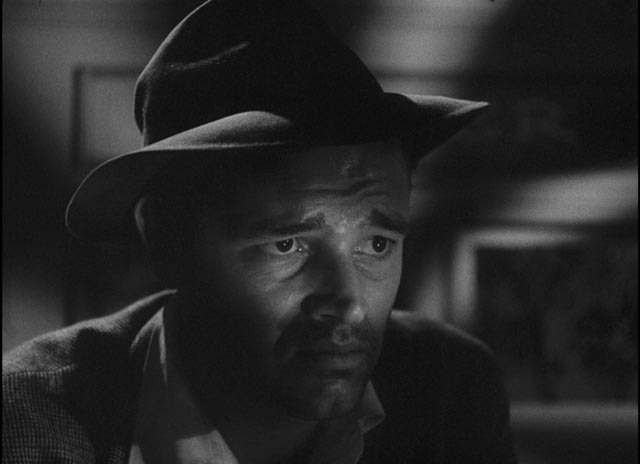 Although Detour was made so quickly and cheaply, Ulmer managed to distill the essence of film noir from this simple material. Few films bear such a heavy weight of doom and despair; few noirs feature a protagonist as hopelessly beaten down as Al Roberts or a femme fatale as hair-raisingly menacing as Vera. 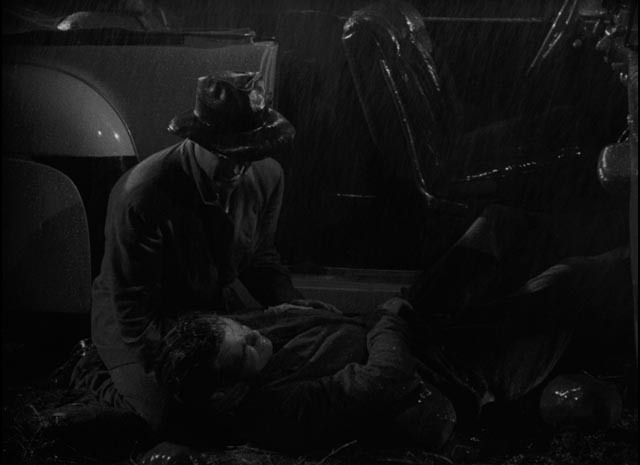 Sets are threadbare or virtually non-existent (those New York streets), but the film is rich in textures and shadows – evocatively shot by B-movie veteran Benjamin H. Kline (almost four-hundred credits!). Despite the brief shooting schedule, Ulmer and Kline took obvious care with the camerawork and lighting; where so many very low budget films have a flat look, the use of shadows and contrast in Detour deepen the feeling that we’re caught inside Al’s paranoid mind. Ulmer uses non-naturalistic effects in the diner scenes in which lighting changes radically during shots as if burrowing into Al’s brain as he struggles to tell his story in a way which absolves him of any responsibility for his own fate. Even the sparse sets and the extensive use of process photography work in the film’s favour, an expression of Al’s flawed perceptions and unreliable memory. Detour earns its long-standing reputation as a poverty row masterpiece and confirms Ulmer’s status as an artist. In the account of the film’s production provided in a lengthy essay by Robert Polito (author of the masterful Jim Thompson biography Savage Art), it turns out that the film as we know it might easily have never been. He provides a detailed comparison between the film and its source novel and original script by Martin Goldsmith, which were very different from the final result. In addition, Lew Landers’ name in the paperwork (and on the script cover) may indicate that he was in fact originally supposed to direct – but possibly was too busy (he directed nine features in 1945, six in 1946 and eight in 1947), leading it to fall into Ulmer’s hands; if this is the case, then we have further evidence of Ulmer’s artistry under pressure, reshaping the material at a moment’s notice into this quintessence of noir doom from something much more conventional. 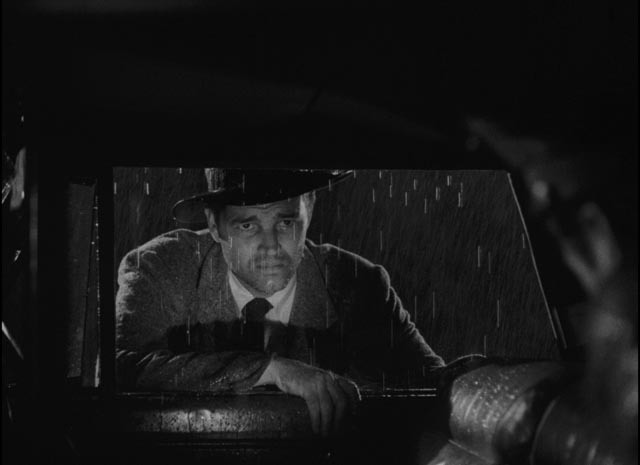 Detour’s paradoxical nature is highlighted by the lavish treatment it has received from Criterion. This scrappy little movie finally gets a decent home video transfer after years of sub-par DVDs (generally made from the battered print owned by Wade Williams – used for both the 2000 Image Entertainment disk and the French Bach Films release from 2005). The Blu-ray includes an interesting featurette on the restoration by Academy Film Archive and The Film Foundation, in collaboration with the Belgian Cinematheque, the Museum of Modern Art and Cinematheque francaise. After a decade of detective work to find the best possible elements, the restoration ended up being based on a 35mm nitrate positive with prominent French and Flemish subtitles. Removing these involved some complex compositing work incorporating MoMA’s 35mm safety duplicate and a 35mm safety composite print from the Cinematheque francaise, in addition to careful digital painting techniques. It would be easy to believe that the restoration ended up costing more than the original production budget! As mentioned, the restoration is very impressive; the image has a thick film-like texture, with plenty of atmospheric contrast. The soundtrack has been remastered from three separate 35mm and one 16mm source, giving the film the best audio quality it’s probably ever had. In addition to the interesting restoration featurette (11:02), Noah Isenberg (author of Edgar G. Ulmer: A Filmmaker at the Margins) provides an account of the director’s career and the making of Detour (21:11). The documentary Edgar G. Ulmer: The Man Off-Screen by Michael Palm (2004, 1:15:36) gives a more detailed account of Ulmer’s life and work, including interviews with a number of actors who worked with Ulmer (Ann Savage, John Saxon, Peter Marshall), filmmakers (Roger Corman, Joe Dante, John Landis, Wim Wenders) and German film historians, as well as Ulmer’s daughter Arianne Ulmer Cipes, who shares memories and home movies shot by her father. There’s also a restoration trailer (1:32) and that lengthy booklet essay by Robert Polito (more substantial than Criterion’s usual text supplements). This entry was posted in Review and tagged Blu-Ray, Classics, Crime, Criterion, Directors, Film Noir, Restored Films. Bookmark the permalink. I have a fond spot for Edgar’s movies and think Detour is a good one. I have a fuzzy copy I recorded off of Turner Classic Movies. Maybe I should upgrade, it’s tempting. I see you have the movie as out in 1946 but the IMDb says 1945? Curious. I did see a noir I hadn’t seen before last night, Gun Crazy, and thought it was quite entertaining. Fairly good commentary on it but no other extras. The date was a typo (now corrected) … there are always risks in being your own proofreader!